1. It’s light to carry, you can get a lot of lace in 50 grams. 2. It’s light to knit, no heavy wool half finished blankets draped on you while you knit away. 3. Colour! You can kind of go nuts since shawls are an accessory. 4. Fashion. While I am admittedly not the most fashionable individual I love a small colourful lacey shawl around the neck. 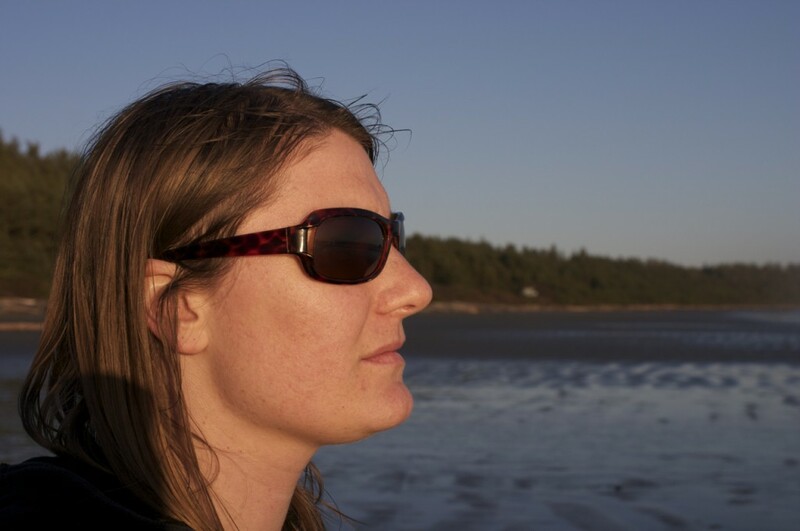 Emily and I headed to the coast and chilled in Tofino for the weekend. While we were there we managed to get in some knitting at the cafe and at the beach. I thought I would take advantage of her wisdom and work on a couple of lacey items. This is the Multnomah shawl (by the way, I love the Shalom sweater featured on the front page of her blog, nice) started during the Olympics. It was quick and easy and only 1 skein of sock yarn. Simple, yet effective. The bottom of the shawl is some feather and fan lace which is perfect conversational knitting because there are 3 rows of stockinette for every one row of lace pattern. I knit this up during catch up time and it’s blocking while I type. 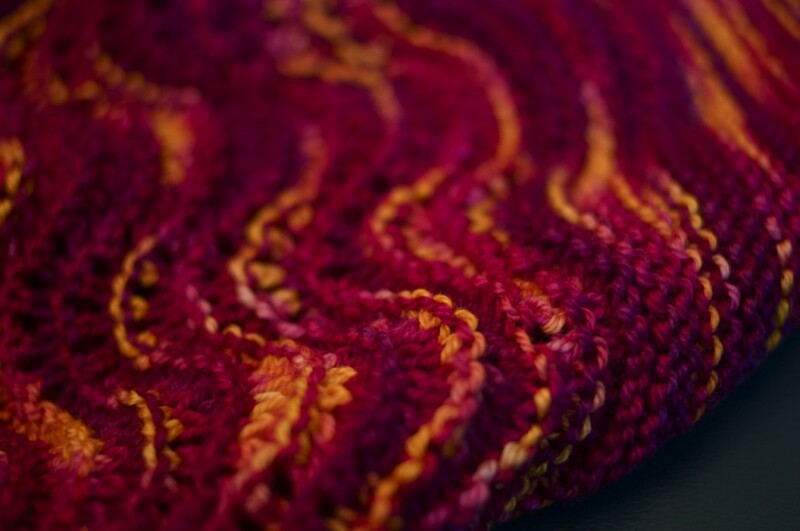 The next project I started was the beautiful Brandywine Shawl. This one is worked from the tip to top which makes the bottom the hardest part. As the shawl grows there is more and more garter stitch in the middle (relaxing) but to kick it off it is all lace all the time. I am over the hump now so it is smooth sailing from here on in! 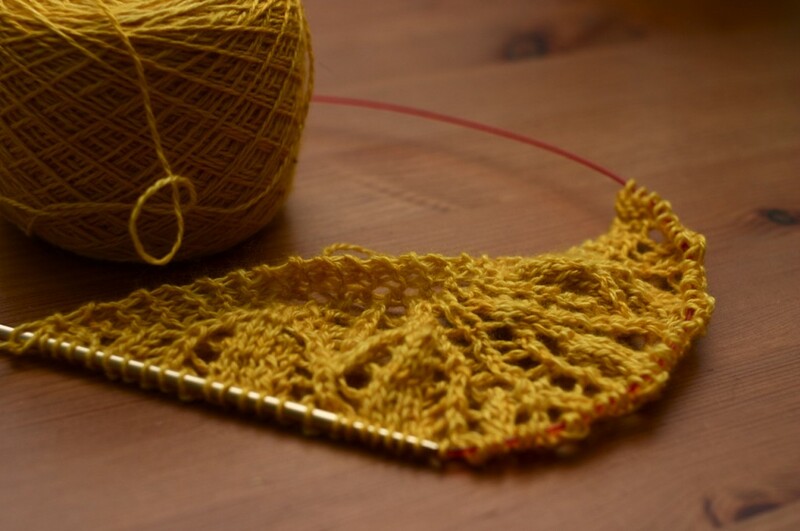 Instead of working away dilligently on my Brandywine I also cast on for a Sunflower shawl. What could I do, I had to take advantage of her expertise while I could! This one was designed by Emily herself and I love it. 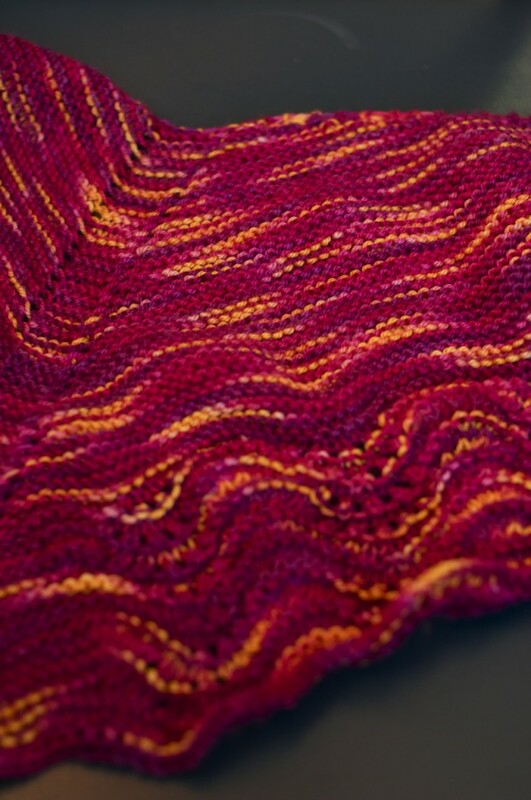 The pattern looks complicated but the repeats are easy to memorize, something I quite like in a shawl. It’s worked from the middle of the top outwards and the lace stitch patterns are reminiscent of sunflower seeds and petals. Beautiful. I’m knitting both shawls in the exquisite SweetGeorgia Cashsilk Lace. 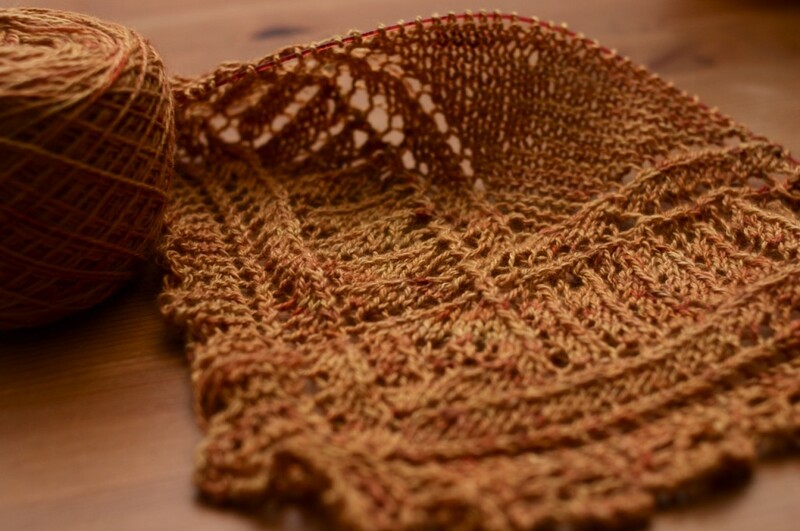 On another note, the new Twist Collective just came out and there is a lovely lace shawl in it I have my eye on here! It’s called Dryad and it’s by the lovely Sivia Harding who is as nice as she is talented. This entry was posted on Monday, March 8th, 2010 at 10:00 pm	and is filed under Uncategorized. You can follow any responses to this entry through the RSS 2.0 feed. Both comments and pings are currently closed.